Bring a new unwrapped gift to either branch of Weichert, Realtors before December 15 to make a donation to Toys for Tots. Our Columbia and Mount Airy offices are open Monday through Friday between 9:00 am and 5:00 pm, and our realtors are always just a phone call away. 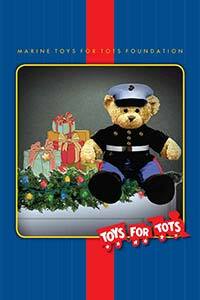 The Marine Toys for Tots Program has distributed more than 469 million toys to more than 216 million less fortunate children since the organization began in 1995. Did you know that 97 percent of your monetary donation goes to the Toys for Tots mission of providing toys, books and other gifts to less fortunate children? The 3% spent on support principally covers fundraising expenses, and not one donated dollar goes to pay for salaries. ← Ask the Realtor: What Can I Do to Encourage the Sale of My Home in the Winter?